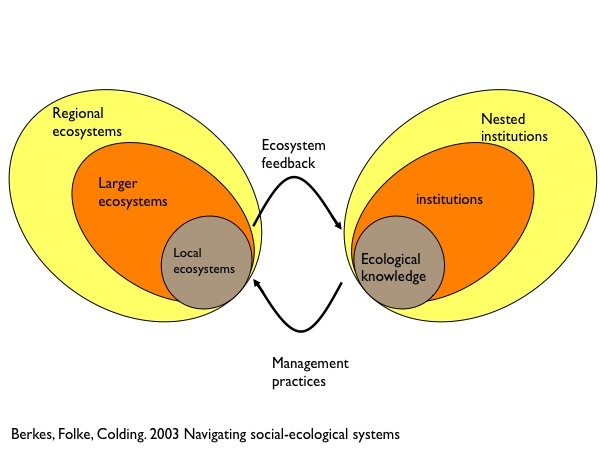 As a systems approach it focuses on structures and processes, but because it comes from a resilience orientation in is particularly interested in how these structures persist and reorganize in response to shocks, gradual changes, or purposeful transformations. 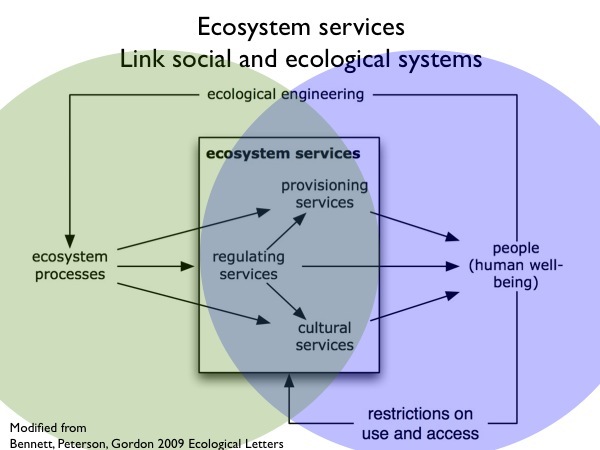 Below are a number of different takes on conceptual diagrams of social-ecological systems that I think show some different aspects of social-ecological systems. 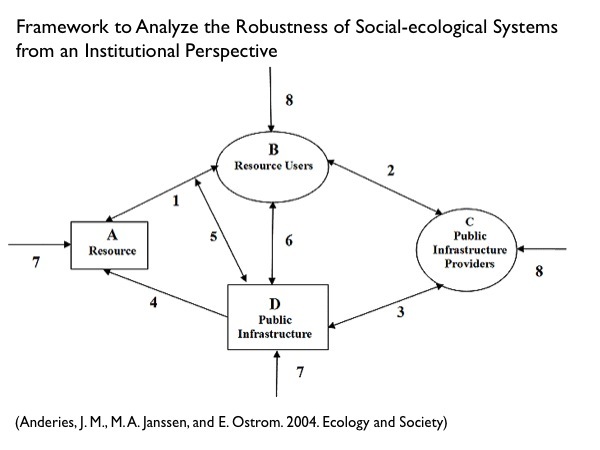 There are many other conceptual diagrams of social-ecological systems and I’d welcome any comments that point to other papers that have particularly interesting or different conceptual diagrams. Berkes, Folke, and Colding editors. 2003. 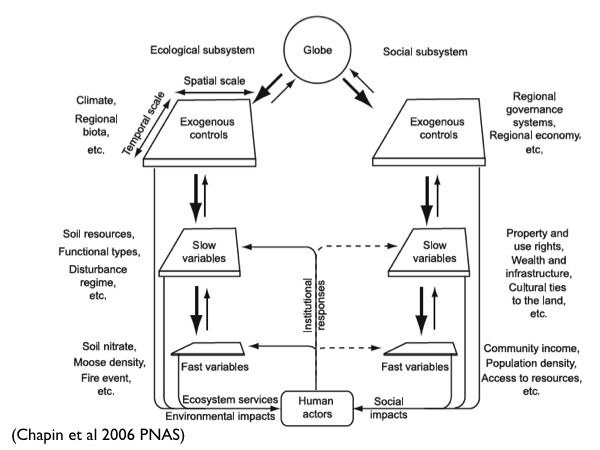 Navigating Social Ecological Systems. Cambridge University Press.